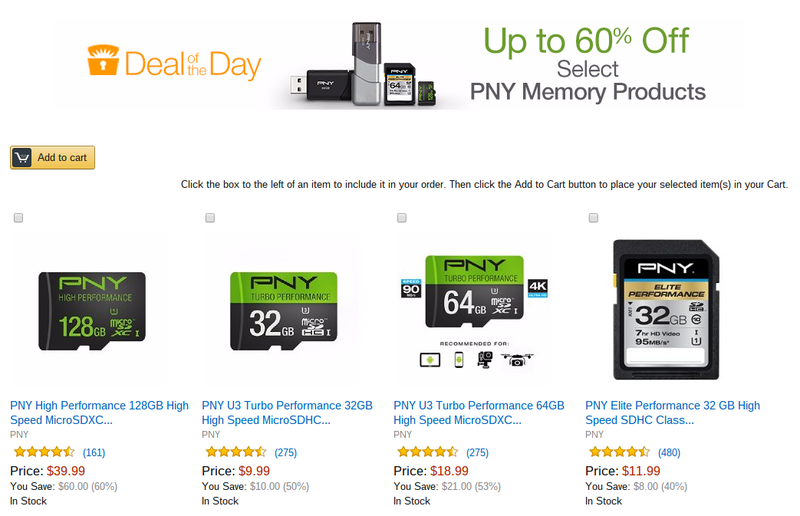 The online retailer's current deal of the day offers up to 60% off the price of PNY memory cards and drives. You can get microSD cards ranging from 32GB for $10 to 128GB for $40. Full size SD cards are going for around the same price, while flash drives come in at the most affordable rates of $5 to $16, sans a 128GB option. You can also snag discounted RAM, but that won't do your smartphone any good. On the other hand, there are reduced external battery packs. 7800mAh goes for $12 while the larger 20,800mAh pack costs $28. These prices aren't bad, though you might get a backup battery for less if you're not in a rush. Just know that you only have 16 hours to take advantage of this PNY sale.